What do employee engagement, talent attraction and retention, and workforce productivity have in common? They are often shared pain points for business leaders regardless of industry, company size or leadership experience. To address these transformative opportunities, many forward-thinking executives are turning to Purpose to unlock the full potential of their teams. So, what does that look like in the real world, and how can your company implement a similar program? We sat down with Bruce Pfau, Partner, Human Capital Strategy and Culture Transformation at KPMG, a global professional service company and one of the Big Four auditors, to learn how his team leveraged Higher Purpose to rally the company’s workforce of nearly 200,000. Here’s what we learned. Why was it important for KPMG to develop and rally around a new purpose statement? What was the catalyst? 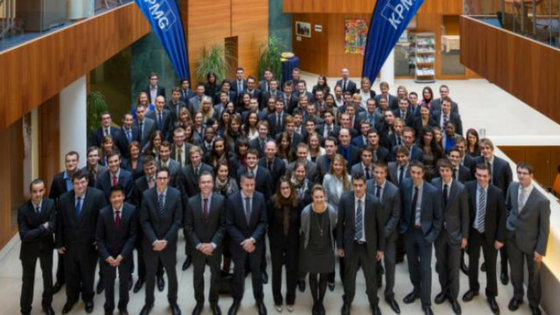 Bruce Pfau: When KPMG began its Higher Purpose initiatives in 2014 it was already an employer of choice as evidenced by its many workplace awards and with 4 of 5 employees saying it was a great place to work. But our philosophy of continuous improvement drove a desire to take our high performance culture to the next level and to be the best in our profession. We were convinced that our higher purpose initiatives would accomplish those goals—but even we were surprised at how successful they eventually turned out to be. How did KPMG arrive at “Inspire Confidence. Empower Change.”? How has KPMG brought the new purpose statement to life since it was unveiled? Has the Purpose initiative translated into measurable results? If so, how were those results measured and shared? BP: As I noted, the results from this effort have exceeded our expectations. Since the start of our higher purpose initiatives, our morale and retention has surged to historic highs. Employee engagement rose from 84% to 91% favorable according to FORTUNE’S survey and we advanced 68 ranks to #12 on FORTUNE’s Best Places to Work list, placing us #1 among its Big 4 competitors three years in a row. Perhaps coincidentally, the firm also led the Big 4 in growth and enjoyed some of its best financial performance during that time as well. Are there challenges you’ve encountered that organizations looking to adopt their own Purpose initiative should be wary of? How did you get past those roadblocks? BP: The most important thing to avoid is getting hung up on the theoretical and academic aspects of higher purpose. Spending too much time on the fine distinctions between purpose vs. vision vs. mission vs. culture etc. yields less value than it might first seem. If organizations focus on getting employees to reframe and elevate their own sense of purpose—to see themselves as cathedral builders rather than bricklayers—that’s where the real value is created in terms of pride, loyalty, and discretionary effort. Can you describe KPMG’s relationship with BVU, particularly related to this Purpose initiative? BP: KPMG has been a significant business member of BVU for over 15 years. It’s all about value and for us this provides a fantastic platform for our employees to participate in a variety of impactful community-building and non-profit related activities across Northeast Ohio. BVU helps us plan meaningful team volunteer projects, matches us as skills-based pro bono consultants with area non-profits, and refers us to non-profit board opportunities. BVU is a key partner in helping us deliver on our corporate citizenship goals and supports our purpose-driven culture. Is there any additional advice or information you’d like to share with business leaders on the topic of Purpose?